At the end of Cornel West’s speech during the Martin Luther King Jr. commemoration on Friday, many students stood up to ask questions and offer comments. One stated, “We seem to be ‘All In,’ but we are really not.” Certainly, he spoke the truth. 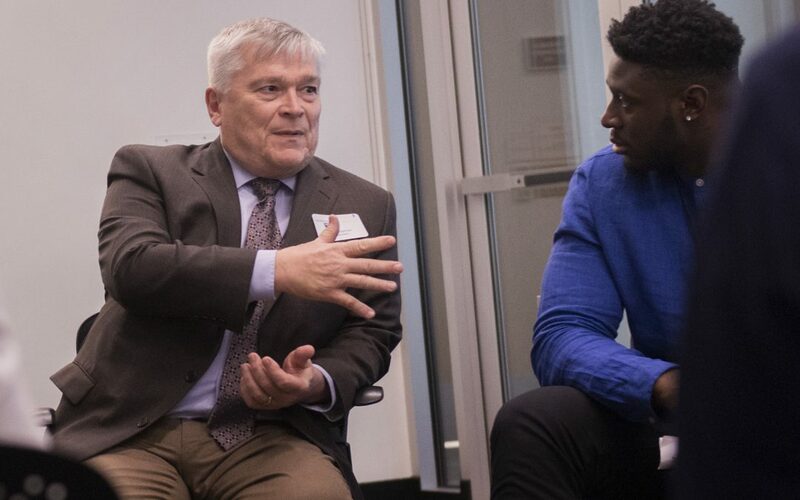 Earlier in the week, at a “World in Conversation” event joining Penn State’s President’s Council with more than 30 students, some expressed the view that they were working to “not object to someone they disagreed with” in order to better get along together. Others were looking for middle ground. Still others wanted to make sure every voice was heard, and that the right for their voice to be heard should be respected. And, it was more than the right to be heard, it was the importance of having their personal experiences valued. Others wanted it clear that “All In” was about listening and learning before judging, but reserved the right to wholly reject someone’s viewpoint. Some viewed disagreement as healthy as long as it yielded conversations that produced greater understanding. In other discussions, I heard the view that there are limits to civility in the face of insult or oppression. Of course, I have my own view of the role of “All In” — that we would be reminded that every student at Penn State has earned the right to be here. That means our first assumption about any individual should be that they have much to offer to our community. I very much like the tagline “be who you are — together,” because it implies that we are accepting of those who are different from ourselves, even if we choose to disagree with their viewpoints. I also very much like how Cornel West described it as a potential “fusion of the best.” Give the best you have to offer and fuse it with the best that Penn State has to offer (I define Penn State as its students, faculty and staff). He said that to do otherwise is to foreclose on your possibilities. We have a long way to go. This isn’t a light switch. At the same time, much is happening that is worth celebrating and we have the potential for “All In” to have a lasting impact. The student-organized Martin Luther King Jr. event that featured Dr. West as a speaker made me particularly optimistic. In my view, the student organizing group was the epitome of inclusion, as was the program. As just one example, several members of Penn State W.O.R.D.S. (Writers Organized to Represent Diverse Stories) shared their stories. One woman shared a remarkable description that contrasted and intertwined her view of herself with that of someone else who viewed her as an object. In my mind, she was channeling W.E.B. Du Bois when he spoke of the stress of double-consciousness, “this sense of always looking at one’s self through the eyes of others.” Her words were profound and directly went to the broad vision of Dr. King. In so many ways, our students are leading the charge of a more inclusive Penn State, and we must do our best to help them succeed. University Housing and Food Services proposes to open a food service option that meets the standards of Halal and Kashrut for observant Muslim and Jewish individuals, respectively, as part of its renovated East Food District in Findlay Commons in East Halls. It will be part of Housing and Food Services’ “pure” station that also contains none of the top eight allergens, such as dairy, egg, fish, shellfish, etc. The Office of Physical Plant is analyzing sports venues that may disadvantage access for the disabled, with the goal of mitigating such problems in the future. The Student Minority Advisory Recruitment Team (SMART) is a voluntary group of 60 to 70 students who help undergraduate admissions recruit and retain underrepresented students. Penn State is now searching for a Senior Director of Talent, Diversity and Inclusion in Human Resources to work specifically on attracting, developing and retaining a high-quality diverse workforce at all colleges, campuses and non-academic units. Human Resources now has more than 100-plus volunteers available to join search committees and help develop a diverse pool of candidates. Penn State Police undertook daylong training on “enhancing relations in a diverse community” that included University Park, New Kensington and Schuylkill. The training was an outcome of the Task Force on Policing and Communities of Color and included community officers. Residence Life launched an Inclusive Language Campaign for resident assistants to talk about the impact that residents’ words may have on others. Penn State DuBois had a series called “Eat and Engage” specifically geared toward student participation and the celebration of diversity that addressed a broad set of topics, from being a better LGBTQ advocate to a conversation with a Buddhist monk known for his “loving kindness” meditation instruction. Penn State Wilkes-Barre Continuing Education offers a movie and discussion series each semester — this spring’s offering will focus on the LGBTQ movement through films. Penn State Berks is planning a faculty/staff retreat to discuss how to include diversity into the classroom curriculum. Penn State Abington offered a workshop for all faculty and staff titled “Building Community and Difficult Conversations” where more than 150 individuals attended. The Council of Commonwealth Student Governments is convening a Diversity and Inclusion Summit, which will launch a Pennsylvania Patch Works initiative to create an artwork “patch” to celebrate diversity and inclusion on each campus. The works can be assembled into a collage that can travel through the Commonwealth. Outreach and Online Education has launched a theme for 2017 titled “Challenging Stereotypes and Humanizing Our Colleagues,” and has established a plan to have one internal “All In” event every quarter. The World Campus featured an “All In” event on its digital calendar and reported reaching more than 13,000 students. An “All In” Award for commitment to diversity and inclusion will be given annually ($1,500 and a plaque) at the Multicultural Research Center’s annual awards reception. The award is open to all full-time faculty, staff and students and nominations are being accepted until March 13. Intercollegiate Athletics and Strategic Communications have disseminated video messages from Penn State students and “All In” awareness materials at sporting events and through social media since the launch in October. Two buses in State College will be wrapped with “All In” messages to help raise awareness at University Park and in State College. I know there are many events, activities and actions that I have missed, but I am impressed by the growing emphasis on diversity and inclusion across our great university. Thank you. 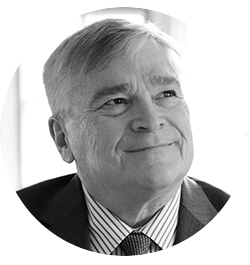 President Eric Barron will discuss the “All In” initiative at the Office of Planning and Assessment’s next Quality Advocates session. It will be from 9-10 a.m., Friday, Feb. 10. The session will be held in Room 508 Rider Building on the University Park campus. All interested faculty, staff, administrators, and students are invited to attend. For more information and to register for this Quality Advocates session, call the Office of Planning and Assessment at (814) 863-8721 or email opa@psu.edu. Representatives of Penn State campuses interested in participating in this event via videoconference also should contact the Office of Planning and Assessment to make arrangements. I attended this event with alumni from World in Conversation; we facilitated the small group caucus conversations. The participants engaged with each other on such a deep level; challenging each other while at the same time truly trying to understand each other. This is how barriers are broken, bridges are built, and people begin being able to work and interact with each other in a healthy balance of conflict and collaboration. Without the push and pull of people sharing personal stories; without our differences and similarities merging in the moment, without the space for these interactions, we cannot make progress. Hence, I am deeply grateful to have been a part of this work. *World in Conversation’s current website is: http://worldinconversation.org. This blog has linked an old website. The “All In” perspective that is being encouraged at Penn State is wonderful, open-hearted and highly progressive. But sometimes I wonder how we can feel safe, secure and be espoused to participate proactively in such an ideology when the national rhetoric appears to be to build walls, drive away people of different color and religion, and punish ‘safe-harbor’ cities?